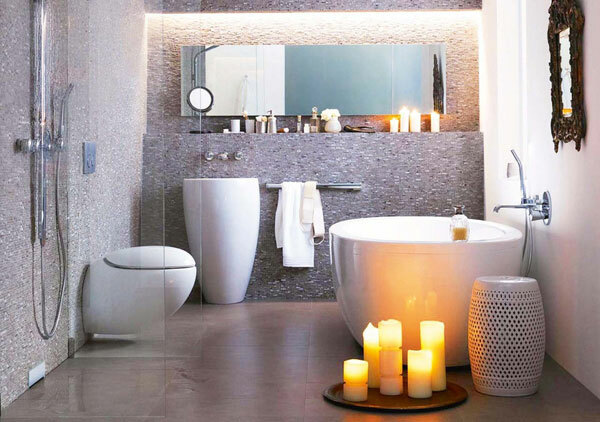 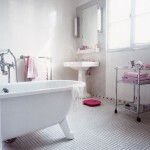 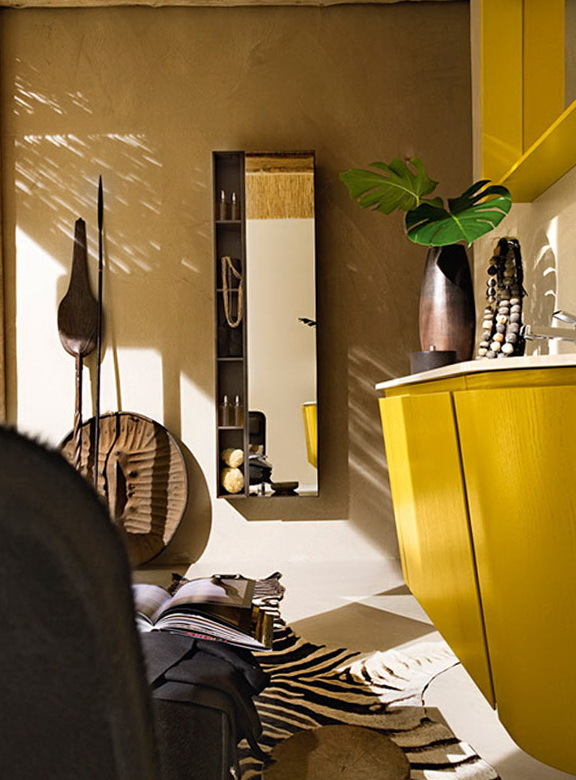 Cheerful bathroom with African motifs – what you need of a host with a sense of style and sense of humor. 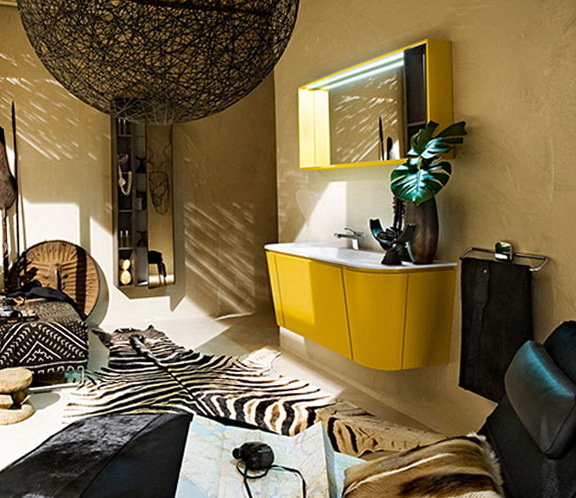 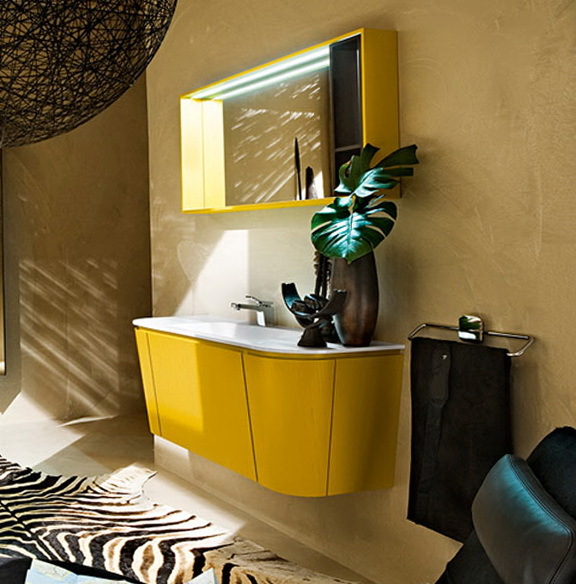 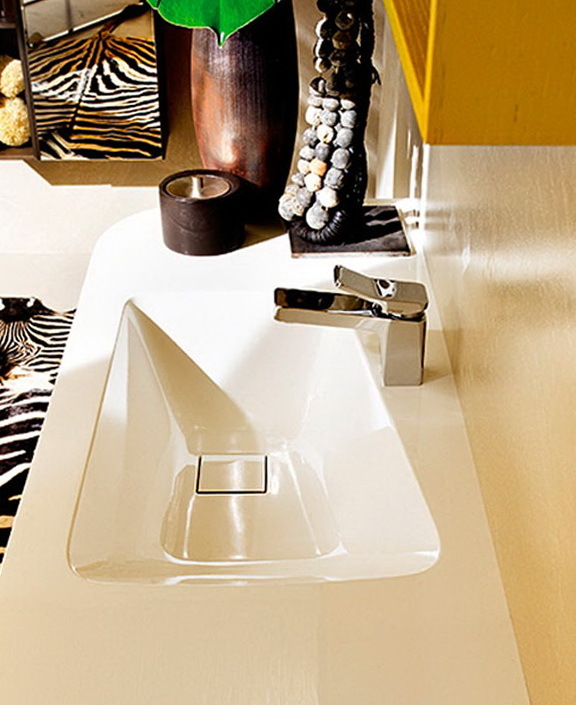 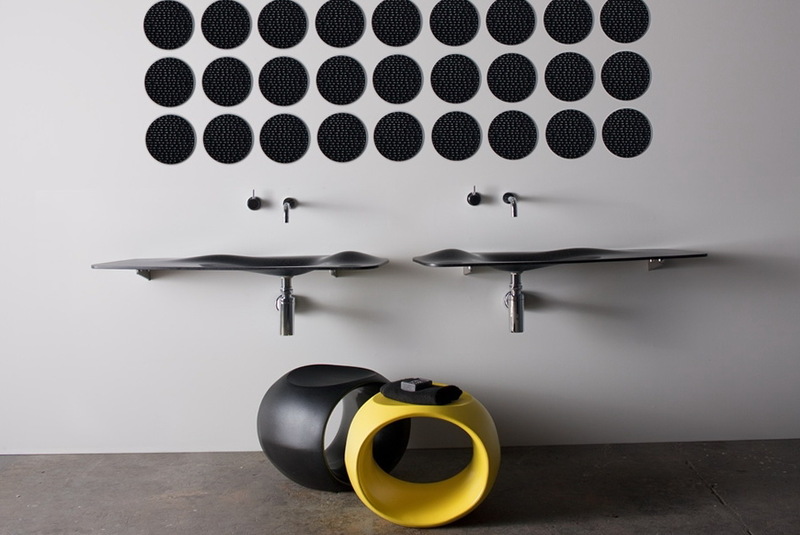 Yellow wash rounded brightens up all the pathos of the rest of the bathroom: darkened corners, zebra on the floor and black textiles create a mystery, almost surreal landscape. 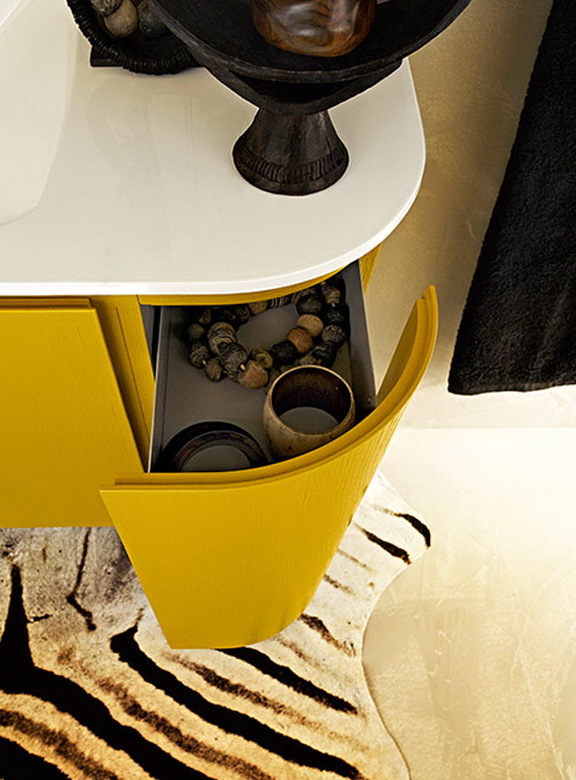 Simple and functional cupboard under the sink is so capacious that no other furniture just does not want to – you can give all the space under the decorative elements.